Niki and Niki's Brother looks at the world through the eyes of Niki, a young boy with cerebral palsy. Niki loves stories, and in play he becomes the hero of an spy story or an avid commentator of a hockey game. 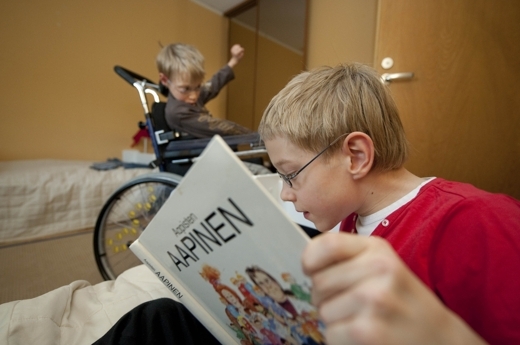 He attends a school for handicapped children with his brother Sampsa, who will never learn to speak. The film follows the life of the brothers for two years. Niki dreams of becoming an actor or radio journalist, but he also worries about the future of his brother. 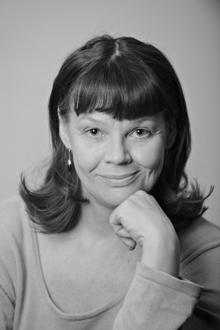 Freelance journalist and film director Kirsi Mattila was born in 1958. She is married with two children, and a dog person. She graduated as Licentiate of Philosophy in 1993, with Theatre Research as her major subject. Since 1994 she has scripted and directed education programmes, TV documentaries and documentary films. Mattila's education programmes have been mainly about literature and theatre, while the themes of her documentary films range from birth giving, childlessness and ageing to school memories, loneliness and children with cerebral palsy.